Budget 2014: What now for the NBN as taxpayer investment is capped? This article is by Thas Ampalavanapillai Nirmalathas, Professor, Director of Melbourne Accelerator Program, Associate Director – Institute for Broadband-Enabled Society at University of Melbourne. It originally appeared on The Conversation. analysis The Abbott Government’s first federal budget has allocated funds for capital investment into the National Broadband Network (NBN) to continue up to 2017-18 but with a cap of A$29.5 billion. This falls well short of NBN Co’s original forecast of A$44.1 billion not withstanding various estimates of cost blowouts and new NBN Co leadership’s revised forecast of A$72.6 billion. The Coalition under Tony Abbott’s leadership in opposition and in government has long maintained that NBN could cost less and be rolled out quicker. That commitment was confirmed this week by Communications Minister Malcolm Turnbull following the budget announcement on spending. In a statement, he said the budget provides A$20.9 billion in equity funding to NBN Co to cover up to 2017–18. This is on top of A$8.6 billion already committed bringing the total to the capped A$29.5 billion. This new approach to NBN implementation will save [A]$31.6 billion in funding costs, get the NBN finished four years sooner and enable nine out of ten Australians in the fixed-line footprint to get access to download speeds of 50 megabits per second or more by 2019. NBN Co CEO Bill Morrow now faces some difficult decisions in deciding how best to allocate resources to meet the objective of providing high-speed broadband across Australia. Since the Coalition’s election in September last year the NBN has been subject to a number of reviews and a wholesale clean out of management. With many reviews, such as the cost-benefit analysis, yet to report, the strategic direction for NBN Co is uncertain making it difficult to comment on future developments with accuracy. What can be said with certainty is the capping of the government’s investment gives a clear indication that Coalition’s NBN will be vastly different from that proposed under Labor. But some issues will need to be addressed so they do not provide a thorn in the side to NBN Co or hinder the rollout of broadband across the community. The funding cap amplifies the need for private investment. Only A$57 million has so far been earned in revenue related cashflow against the A$7.3 billion invested to date. NBN Co will therefore be required to increase revenue and raise funds through private equity or debt financing to ensure it can fund both operational expenses and future capital investments. But it will need to show an attractive rate of return potential to lure Australian institutional investors, superfunds and other international investors. Alternatively NBN Co will be forced to secure loans to bridge the gap. But whether the Abbott government would offer debt guarantees to the company remains an open question. NBN Co may seek to reprioritise the rollout of the planned network by cherry picking more profitable connections in metropolitan regions. But this may detract from the rollout of services in areas with a higher capital cost, such as regional towns and outer suburban areas, which are often those areas that have the most to gain from the provision of broadband. The A$11 billion deal with Telstra to lease part of its existing network is currently under renegotiation. This might extend to accessing existing fibre-to-the-cabinet, hybrid fibre-coax and dark fibre in addition to copper infrastructure to speed up “new” NBN rollout. A changing technology mix means that some existing copper will not be decommissioned, entering operation as part of the NBN. The outcomes of the renegotiation and the terms of any new agreement will impact the rollout and the future technology mix. 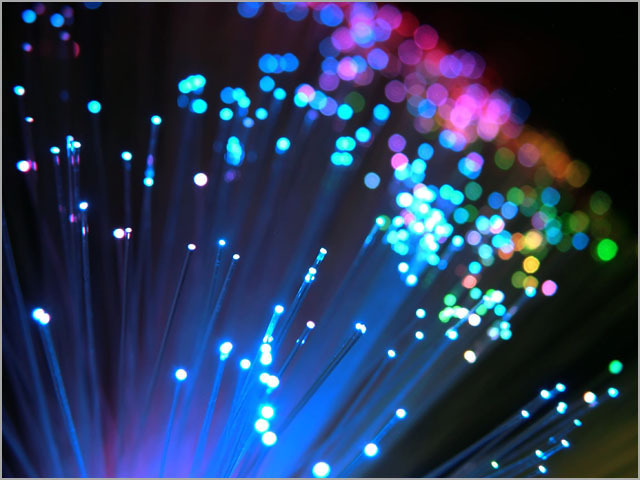 Fibre-to-the-node in some form and maximising the use of existing copper infrastructure appears to be a dominant base for such mix and existing carrier infrastructure may offer opportunities in a funding constrained environment. By further reviewing its construction and installation methods NBN Co may be able to achieve some cost savings and curtail cost blowouts. The NBN Co is operating in an uncertain regulatory environment. The current rules were set up with the NBN Co being a monopoly wholesale infrastructure provider. But internet service provider TPG’s plan to rollout its own fibre-to-the-basement network is changing the telecommunications landscape requiring a regulatory response. Failure to clarify this would force NBN to lose opportunities in rolling out to rapidly expanding apartments sector with a customer base often opting for higher tier services. Australia would then see its history repeated once more with parallel network rollout similar to the hybrid fibre-coax rollout by Telstra and Optus. Maintaining the wholesale monopoly for NBN Co could have possible competitive consequences. Currently there appears to be a confusion in the way wholesale services are defined with potential restrictions on emerging market opportunities. NBN review panel’s terms of reference is seeking input on clarification of this. Relieving NBN Co of its wholesale-only constraints, or at least redefining its limitations, would allow it to provide network connectivity directly to business end-users such as mobile base-stations, large businesses, governments and national infrastructure such as power grids which offer high growth potential. This approach would be good for NBN Co as it would open new revenue streams that would support the government’s desire for the company to increase private investment. Thas Ampalavanapillai Nirmalathas is a Professor of Electrical and Electronic Engineering. He is currently an Associate Director with the Institute for Broadband-Enabled Society which has received funding from a range of sources including the University of Melbourne and Victorian Government. He is also the Director of the Melbourne Accelerator Program which helps to promote entrepreneurship culture through acceleration of start-ups. Views expressed in this article is entirely that of the author and do not reflect the views of his employer – University of Melbourne. He receives funding from the Australian Research Council. This article was originally published on The Conversation. Read the original article. This should be celebrated…I’d be happier if it were reduced to $0 given that it is an absolute waste of money in its current state. The NBN is dead. What we have left is something the same in name but for which zero value will be returned for almost as much funding. ^This – the $0 bit anyway. if you’re not going to do it properly, please don’t waste $29b doing it wrong! Nice read thanks for sharing. You omitted the part where he says they’ll blame their failure on Labor and the ignorant Australian public will buy into it completely. Won’t be an issue NBNco won’t hit that point before one term Tony is out of his arse. It just comes down to what the PUP will do with their new found balance of power in both houses as they continue to erode the LNP vote. Eventually I think they will just be eroding the liberal vote and the nats disappear. Ahhh just when you think it can’t get any worse for aussie punters…. Well.. The nbn is dead in the water anyway. So, only a new election can save it. In the 2012 NBNCo corporate plan government investment was capped at $30.4bn and from FY2018 onward funding was from commercial debt not government equity. No problems then. What’s the problem now? When the $29.5 billion run out, no one would lend NBN co the money to continue to roll out the then officially obsolete VDSL/FTTN network. What you want to borrow billions for a new communications network built on old technology and ancient cabling ? Then they look at the figures for what it’s costing to maintain, customer dissatisfaction, what income it brings in, and tell you to get lost. Make no mistake, the $29.5 billion is going straight down the toilet, used to buy Telstra 50 year old cabling and expensive roadside cabinets that won’t work with a pure fibre network anyway. Still will go perfectly with their planned second rate healthcare, second rate pensions, almost 3rd world minimum wage, non existent science/research etc. Expect what little FTTN the Liberals actually get off their arse to install, to be ripped out and go straight to the scrap yard, where it belongs. I cannot for the life of me think of a case where the commonwealth has bought something 50 years old that needed a lot of work, outside of the railways. It makes no sense to buy Telstra used and abused copper cables. Well said, Paul. Without the FTTP network the NBN lacks the ability to provide high revenue plans based on high speed (100, 200, 500 & 1,000mbps) for the majority of the country. Without those higher priced products it can’t hit the required ROI. Risk is drastically increased, the profit simply isn’t there, there is no business case – no private funding will be available. They’ll hit 29.4bn and the rest of the network will have to be funded from NBN Co profits *cough* so in other words, they’ll build the most profitable parts first then blame the finance sector for not coming to the table to fund the regional rollout. Does anyone know how the transit network is tracking? Is that still running on schedule? It wouldn’t surprise me if they decided to save a couple of billion not deploying the regional sections ‘until they were necessary’ (read: won’t ever be built). Or am I being too cynical? The important bits of the regional transit network was built under a difference project and not part of NBNco but put in place some of the infrastructure need for NBNco http://www.archive.dbcde.gov.au/2013/september/national_broadband_network/national_broadband_network_Regional_Backbone_Blackspots_Program . This is one area of broadband delivery that was completely ignored by the main stream press, mostly because it was successful although I know the NT link did face some delays due the weather. From personal experience in Darwin it improved broadband delivery in Darwin greatly. From the consumer perspective it gave us access to the ULL plans available from providers other than telstra where previously we were restricted to Telstra resold plans. For business it meant huge reduction in costs for low contention service and made then affordable to SMEs, the service we are one now in my office drop to 25% of its previous price which changed the response from my boss from “no way we can’t afford that” to “lets see the business case”. It brought much needed redundancy to the network and caused Telstra to lift their game a bit. There was only one primary physical link to Darwin that goes to Adelaide terminated to a PoP in Adelaide. The was a second backup link to east coast (I think Telstra used this primarily for the phone network and specialist IP services), When something went wrong on the main link all of Darwin would be dumped on this backup link with the PoP still located in Adelaide. This resulted in round trip Latency increase from 80ms to 250+ms and increased packet loss and to make matters worst when the Main link was fixed we had to wait until until enough complaints had be lodged for Telstra to restore the routing to the main Dar-Adel link it didn’t automatically switch back on restoration. This hasn’t been an issue since the RBB backhaul was brought online. Turnbull knows better than most people that undercapitalisation cripples an expanding business. Any business graduate is taught that it’s the biggest killer of start-ups. What we see is not incompetence, it is a carefully crafted plan to ensure that a FttP NBN will not be able to built in the near future. His brief was to destroy it, and that is what he is doing. If we could find some hard evidence that this planned destruction was to please Murdoch, and buy his considerable support, we may have a case for corruption. Then all we’d need is a Federal ICAC. Pity that Labor voted against the Green’s motion, to form one, in the Senate recently. When hell freezes over, perhaps. Given the NBN has pretty much stalled this won’t be much of an issue, role on FTTB, and bring on an election to restore FTTP. A lot of people have said this. I find it curious – how many people voted LNP thinking it was the best way to get rid of the Rudd/Gillard nonsense and the LNP couldn’t do too much damage in just three years? The fact is, if competitive over build of non-FTTP NBN areas (FTTN or HFC) occurs by private sector telcos delivering FTTB/FTTP you erode the profitability of the NBN as a whole. Without monopoly wholesale access to high profit premium customers you can’t subsidise the rest of the network. It only takes a tiny geographical percentage of the total network to completely wipe out NBN Co profit. So what are you going to do if Telstra/TPG/iiNet build their own small but extremely profitable FTTP/FTTB ghettos by 2016 and you vote Labor back in? What will be done about the FTTN that has already been deployed? What about access payments to Telstra and signed contracts? Labor were stupid putting in all those variation clauses which allowed the LNP to walk in and halt or change everything – you can bet the farm Turnbull and his NBN Co won’t be doing anything of the sort. Make no mistake – the NBN hadn’t been delayed three years, it has been irreparably crippled. You’re not going to see a ubiquitous FTTP NBN in 2025, or 2035, or 2045 – the model only worked where NBN Co had an infrastructure monopoly. By 2016 that will no longer be possible unless the government has the fortitude to nationalise private infrastructure, something I don’t see happening somehow. The only thing that can save the NBN at this point is a double dissolution resulting in the LNP being kicked out. Good luck with that. It gets built 4 years faster because the money runs out to built it! Genius! This will be great news if it would be implemented well. We all know what was the problem before. So as long as they find and execute the best solution. as long as we positive results and improvements, then all is well.